Yes, you can ship household goods and personal effects using our international Ocean, Air and Ground Freight Services. We know it’s a big world out there. Neighborhood Parcel can ship to just about any corner of it. In fact, we’re one of Boston’s top international shipping companies. Our partnerships with air, ground freight, and ocean shipping carriers give us the flexibility to select the fastest, safest international shipping options available. We pack and ship just about anything, anywhere in the world! Neighborhood Parcel makes international shipping a breeze because we really can ship just about anything, anywhere. Our experts can help you with small parcels, less than truckload (LTL), blanket wrap, cargo, and specialty carrier shipping services. And there are no weight or size limits for our international shipments. Whether you’re shipping large or small items, we assess your budget, timeframe, and destination, and then we suggest the most efficient delivery option for your package. Experience You Can Count On. Since 2006, Neighborhood Parcel has provided international cargo transportation services to more than 220 destinations worldwide. Our domestic and international clientele ranges from individuals to emerging businesses and Fortune 500 companies across diverse industries in the Boston area. 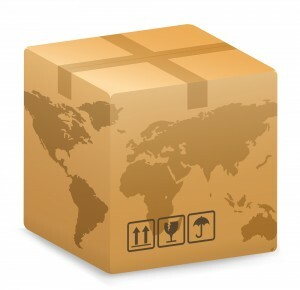 Customized Solutions For All Your International Shipping Needs. In today’s globalized environment, it’s essential that your shipping company provides transportation solutions, giving you the flexibility to serve your customers and maximize efficiency. At Neighborhood Parcel, we have the infrastructure, technical skills, and seasoned expertise to deliver worldwide seamless transportation by land, air, and sea. We’re committed to building relationships with each of our customers. As your trusted partner, we’ll always provide quality services, flexible transportation solutions, proactive communication, and innovative technology to help you and your business thrive. Save Up To 40% Off Your Next Shipment! Ocean, Ground Or Air Cargo, we have the lowest rates! No Gimmicks, No Hidden Fees! Shopping for the best international shipping service rates is very hard, let of companies use hidden fees and bait & switch tactics. This company was truthful since day one. They shipped my household goods for a reasonable price, their driver was super friendly and my shipment was delivered on time. I highly recommend this company for international shipping.